For sale is a Gillette Slim Adjustable K-1 Date Code representing 1965 1st Quarter. 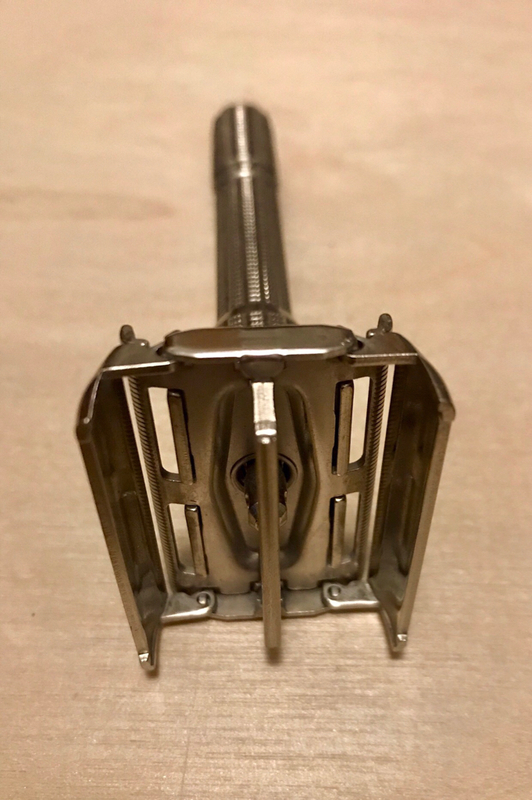 The razor is cosmetically in a very good condition, it is in excellent mechanical condition with the doors opening and closing smoothly, settings click perfectly and the blade locking turn is good. The paints in the numbers are not visible anymore. I am including a brand new Yaqi Timber Wolf brush, know is 26 x 55mm, this has never been used. US$35 including shipping to US/Canada.